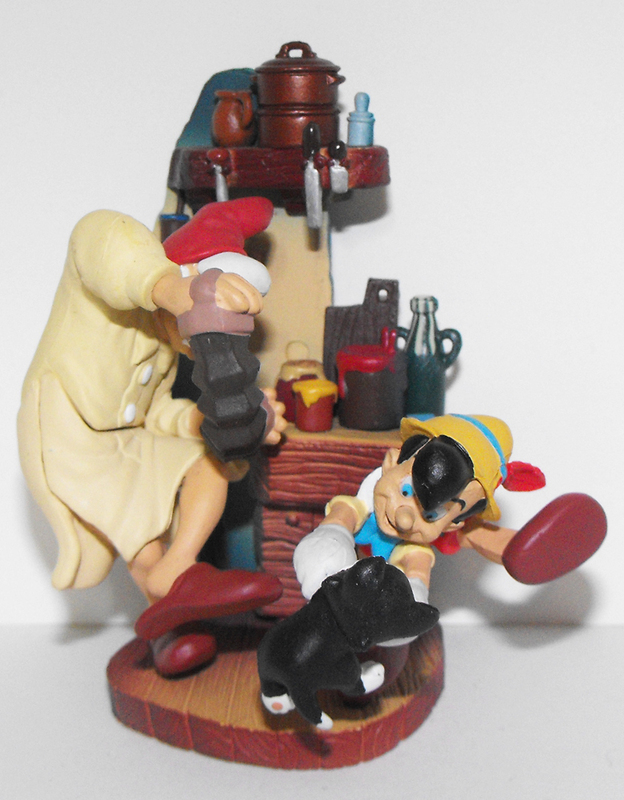 Pinocchio Dancing with Geppetto and Figaro Plastic Figurine, about 3 inches talll. Brand new and never used and in the original box. This figurine comes loose in pieces and you put it together. It is made by Disney and Cinemagic.